Cleaned out a shed for an ol boy and found this odd shaped hammer. It is stamped with 3/4 and a makers mark which I can't make out, but thought someone here might know what it is and what it is used for? Yes the round part is 3/4 and indeed it has had the square end beat on. 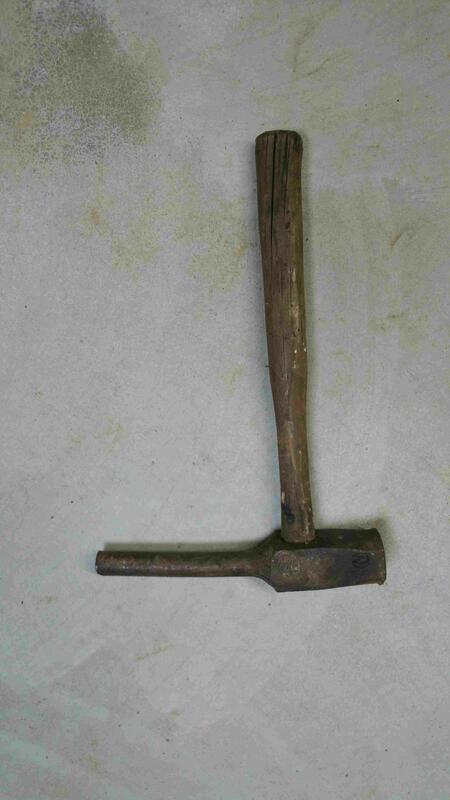 I didn't figure it was a blacksmithing tool, but could be wrong. It might become a blacksmiting tool though some day. Thanks guys! I guess I never seen one before. I will find a use for it. Ah yes, I remember what that is. I used one in Kindergarten to get those square blocks to fit into the round holes.